For the last 50 years, a belief that building a robust and competitive state economy should predominate California’s public higher education goals has become increasingly prevalent, and today it is taken as an unchallenged assumption. This White Paper emphatically rejects that assumption, and argues that broader cultural and social goals are of equal, if not greater importance for Californians’ well-being than purely economic ones; and that to achieve these broader social goals we must place more emphasis on humanities and the classical model of liberal education. A more detailed Executive Summary is included with the paper. 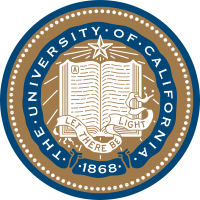 You can download a copy to read here, at the Californians for Higher Education Reform website. California State Senator Darrell Steinberg is co-sponsoring SB 520, titled “California Virtual Campus.” The Senate Bill would potentially enable California students to receive credit at public universities and colleges (UCs, CSUs, and CCCs) for courses taken online from any source. This would presumably stimulate competition, lower course costs, and make higher education available to more Californians. This, of course, is all nonsense. Nearer the truth is that the Berkeley Faculty Association wants to protect faculty jobs. It is sad indeed when they place their own job security ahead of sensible efforts to make higher education affordable and accessible to more Californians. That said, anything the State Government touches will be tainted by money. No doubt many private online universities (e.g., Univer$ity of Phoenix) will jump at the new chance to make money. Whether online universities are actively lobbying State Senators is anybody’s guess (but what do you think?). What we ought to do is to simply eliminate expensive and needless accreditation requirements for undergraduate colleges, whether brick-and-mortar or virtual. Consumers and market competition would then assure the highest quality courses for the lowest price. 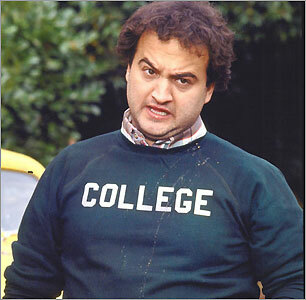 We should similarly eliminate four-year degrees, which are meaningless. People should take classes for the purpose of learning, not to get a degree. If undergraduate education were completely de-regulated, everybody – minorities included – would follow their natural inclinations to educate themselves, and select high-quality vendors. A world-class college lecture series would cost no more than to rent a Blu-Ray movie.